When used strategically, qualifiers (not to be confused with fillers) can help you get what you want from your audience. When qualifiers are used incorrectly. There are many factors influencing our unconscious use of qualifiers. Where we grew up. If adults used them around us when we were young. The culture we consume. Unintentional apologizing is also something to watch out for. When we are nervous or unsure of ourselves, qualifiers may creep in, in an unconscious attempt to offset our own discomfort. Common scenarios in which unintentional apologizing rears its head. Talking to those in positions of power (boss or supervisor). Networking with a client you feel pressure to impress. When advocating for yourself. How to correctly use qualifiers to your advantage. When used correctly and deliberately, qualifiers are a powerful communication tool. To harness their power it’s important to first identify your intention or objective. In other words, what you want your audience to do or feel? If you don’t answer this crucial question before engaging with an audience it may lead to unfocused and ineffective communication. Your power is your choice. The most important thing to remember when it comes to qualifiers is deliberateness. When used unknowingly they may distract your audience from your intended message and leave them feeling underwhelmed by you. 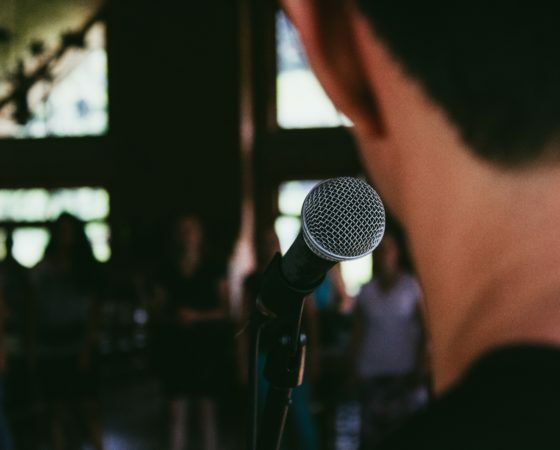 When used consciously and placed conspicuously within your speech you’re leveraging a powerful communication tool that will position you to achieve your objective and make the impression you intended.